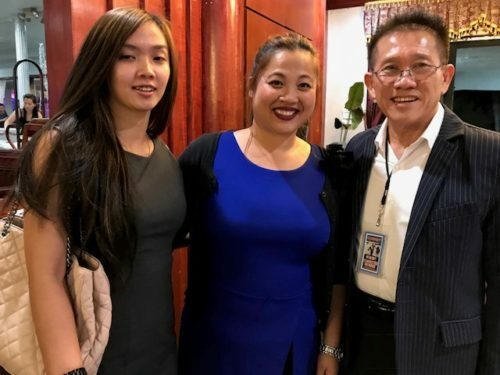 In lieu of recent back-to-back devastating hurricanes, the Cambodian American Community in Long Beach joined hands and hearts in an act of communal compassion to raise funds and give back to people whose lives have been turned upside down. The fundraiser took place on September 28 at Legend Seafood and was organized by the Cambodian Community for Natural Disaster Victims. 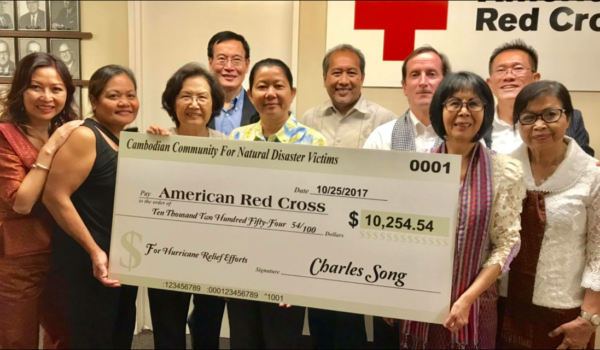 There, people from the Cambodian American Community gave all that they could to support Red Cross disaster relief efforts. For many of the individuals involved, their desire to give back to the Red Cross came as a direct thank you in appreciation for the work the International Committee of the Red Cross (ICRC) and Red Cross had done for them during one of the darkest periods in our world’s history, a time when survival was a goal and not a right, a time now know to all as the Killing Fields. In Cambodia, beginning in 1970, from the moment the first civil war erupted, and then continuously for the next five years, it is estimated that more than 1 million people (and possibly as many as 2 million) died. You may even recall this inhumane series of events making its way onto the silver screen in 1984, in the appropriately titled feature, The Killing Fields. 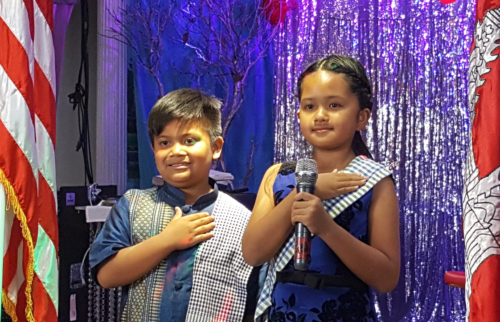 Cambodian American children lead the Pledge of Allegiance at the opening of the hurricane fundraising event on September 28, in Long Beach. Although efforts to launch a large-scale humanitarian aid operation in Cambodia were slow and highly politicized, the ICRC and the Red Cross became well known and well respected throughout the country. Traditionally, the role of the ICRC is to visit prisoners of war and monitor their treatment in accordance with International Humanitarian Law. But, it was its role in helping families, who had fled for their lives across active war zones, survive in refugee camps that now places the Red Cross deep within the heart of the Cambodian Community. Charles Song, with Red Cross supporters, at the September 28 event that raised funds for hurricane survivors.